Explore history, and enjoy golf and casinos in Cortez Visit Mesa Verde National Park and climb through ancient Pueblo cliff dwellings and archeological sites on a guided tour. Continue to discover the Pueblo heritage of Cortez at Cortez Cultural Center. Tee-off at the driving range or play a full round at Conquistador Golf Course. Try your luck at Ute Mountain Casino, where you can also experience live shows and great dining. Head out on McPhee Lake for a day of fishing, boating, and recreation. 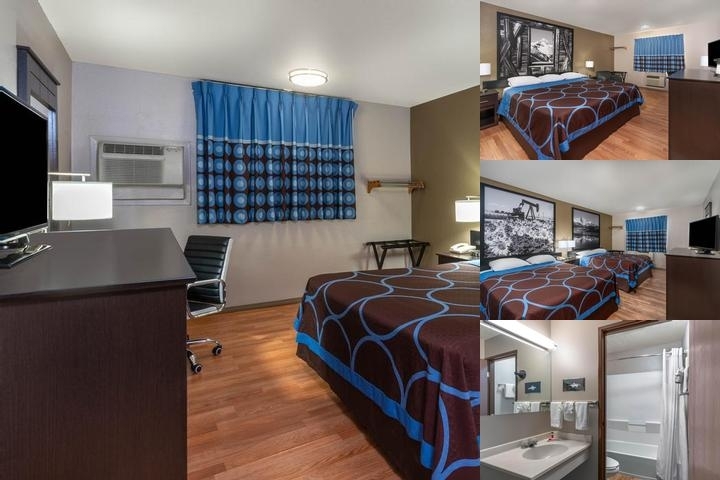 Centrally located hotel between the Rocky Mountains and the Colorado desert Choose our Super 8 Cortez/Mesa Verde Area hotel for quick and easy access to the most popular area attractions and outdoor activities. We are located between the Rocky Mountains and the desert of Colorado, in the center of town off Highway 160. Find non-smoking and accessible rooms available at our pet-friendly hotel. Our rooms are newly renovated and nicely decorated with one King or two Queens size beds included refrigerated and microwave and 39" flat screen TV with over 100 HD vision channels. Enjoy free breakfast, In the morning, fuel up with a free Super-Start breakfast and free coffee, coffee also available 24 hours a day. Enjoy 24-hour front desk service and a free parking lot with space for large vehicles. Enjoy Free WiFi, Stay connected with free WiFi in all the rooms and public area or use our lobby computer.